Chocoholics, rejoice! Now you can satisfy your cravings guilt-free. 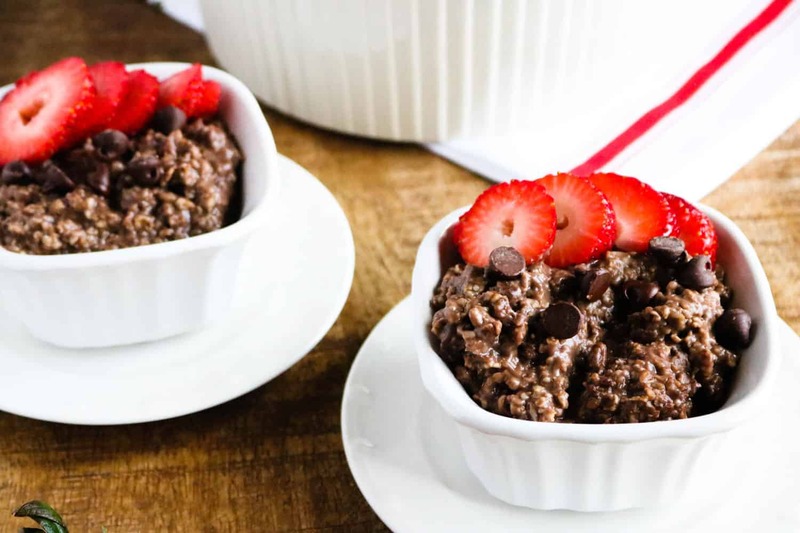 Making Instant Pot Double Chocolate Quick Oats with Strawberries lets you indulge your chocolate fix while you reap the many health benefits that eating oats provides. 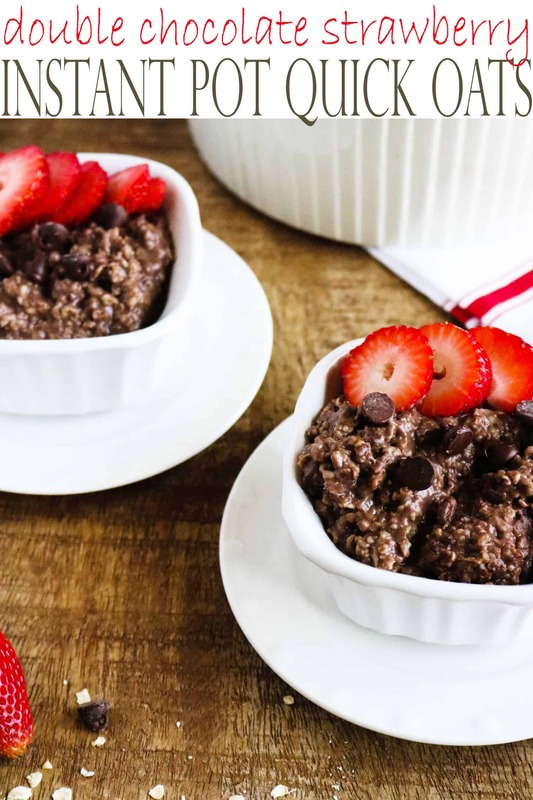 Topping your Instant Pot Double Chocolate Quick Oats with strawberries will provide you with a dose of even more disease-fighting antioxidants, such as polyphenols, as well as vitamin C, manganese, and potassium. 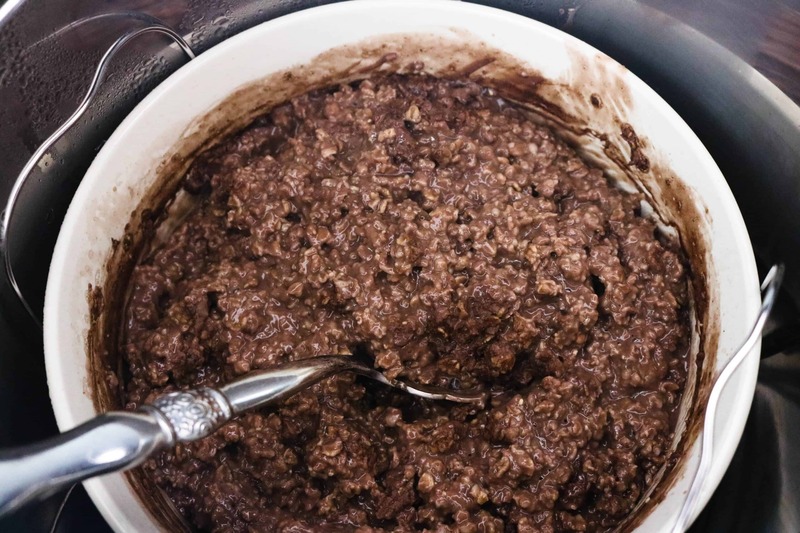 Plus, when you cook your oatmeal in the Instant Pot, it’s ready in just 5 minutes (with approximately 10 minutes for the pressure to build). All you have to do is add the ingredients, set it, and walk away. 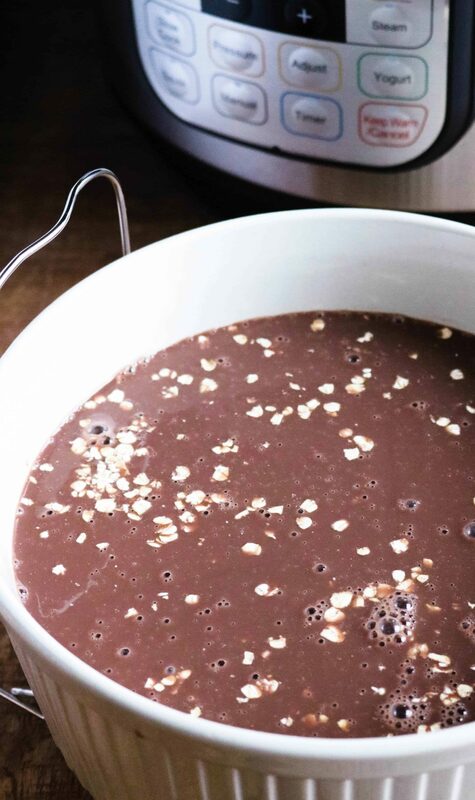 It’s never been easier, or healthier, to satisfy those chocolate cravings! 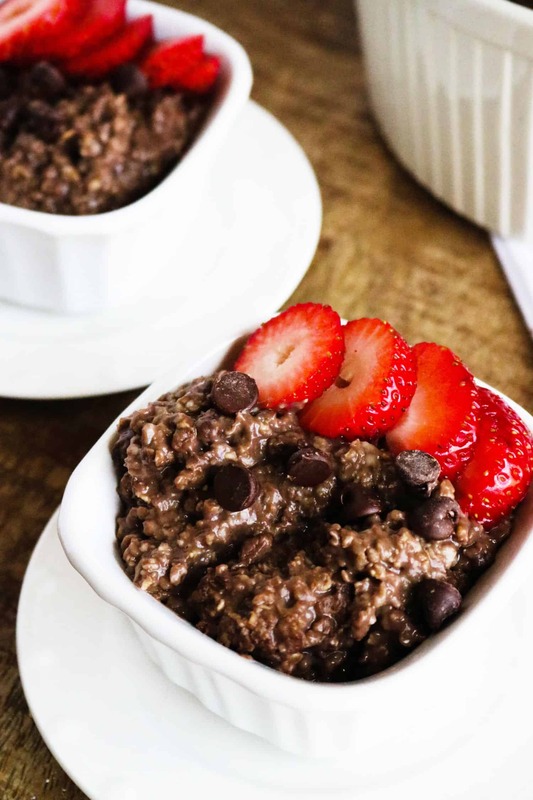 And, f you happen to love peanut butter as much as you love chocolate, you’ve got to check out our Instant Pot Oatmeal — Chocolate Peanut Butter Quick Oats recipe. Step #3: Dish up into bowls, and top with sliced strawberries and a sprinkle of chocolate chips (or toppings of your choice). Enjoy! Chocoholics, rejoice! This healthy meal tastes indulgent and is easy to make.